So how exactly did Al get those famous scars? Back in 1917, Al was an eighteen-year-old hood working as a “main bouncer and bartender” at Frankie Yale’s Harvard Inn, a cheap bar and brothel off of Coney Island’s boardwalk in New York.2 One of Brooklyn’s biggest bootleggers during Prohibition, Yale was also Al’s first criminal employer, taking the young hood under his wing and giving him small-time jobs, including working at the Harvard. But Lena wouldn’t even give him the time of day. She swept past him “without responding to his advance nor making the slightest bit of eye contact,” totally cold.9 Now Al felt like a fool. Accounts differ as to exactly what happened next. 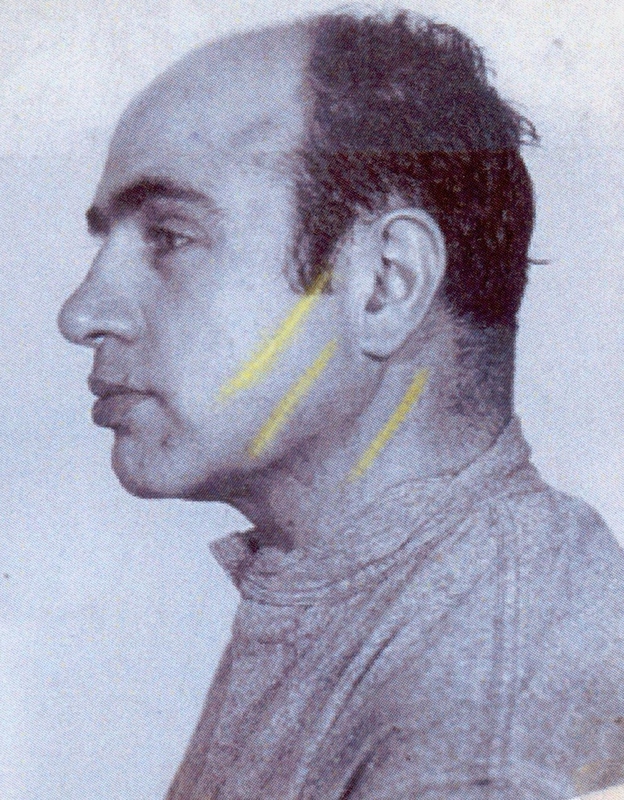 Whatever happened, the end result was the same: Frank slashed Capone three times across the face, leaving a trio of deep, ugly cuts. Capone clutched at himself, bleeding like a stuck pig. 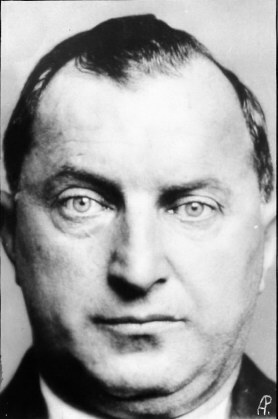 There was “blood everywhere now, blood on the knife, blood all over Capone, blood on the floor.”27 The sight was enough to jar Galluccio back to his senses. He grabbed his sister and his date and bolted out the door. No one stopped him. Back on the barroom floor, Al was bleeding all over the place. 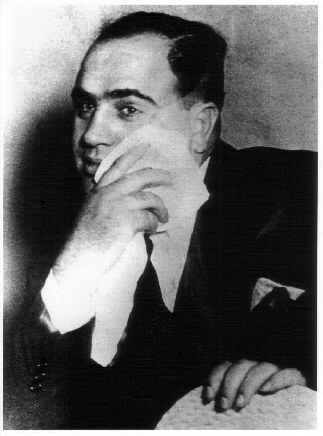 A fellow waiter gave him some bar towels to staunch the flow—and then some of Yale’s people rushed him off to Coney Island Hospital just in time.28 Once there, Capone ended up with 30 stitches and a nickname he’d carry for the rest of his life: Scarface. 1. There are two different sources for this quote. The “German machine gunner” comment comes from Richard Enright’s Capone’s Chicago (1987), while the Lost Battalion angle comes from Robert Schoenberg’s 1992 biography Mr. Capone. Enright, Richard T., and Ray R. Cowdery. 1987. Capone’s Chicago. Lakeville, MN: Northstar Maschek Books. p 7. Schoenberg, Robert J. 1992. Mr. Capone. New York, NY: Morrow. p 33. 2. Iorizzo, Luciano J. 2003. 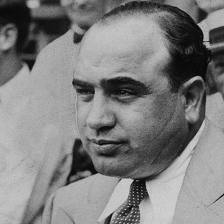 Al Capone a biography. Westport, CN: Greenwood Press. p 27. 3. Bergreen, Laurence. 1994. Capone: the man and the era. New York, NY: Simon & Schuster. p 49. 5. Enright, Richard T. Capone’s Chicago. p 7. 6. Iorizzo, Luciano J. Al Capone a biography. p 27. 7. Bergreen, Laurence. Capone: the man and the era. p 49. 8. Balsamo, William, and John Balsamo. 2011. Young Al Capone: the untold story of Scarface in New York, 1899-1925. New York, NY: Skyhorse Pub. p 112. 14. Schoenberg, Robert. Mr. Capone. p 33. 15. Balsamo, William. “Dillinger’s Brain!! !” p 114. 16. It’s interesting: if you type stuff like this into Google, many people seem to think this whole event was just a fit of drunken fury on Galluccio’s part. In actuality, while he was definitely mad about things, he was also very afraid of Capone. 17. Balsamo, William. Young Al Capone. p 118. 18. Iorizzo, Luciano J. Al Capone a biography. p 27. 19. Bergreen, Laurence. Capone: the man and the era. p 49. 20. Schoenberg, Robert. Mr. Capone. p 33. 21. Balsamo, William. “Dillinger’s Brain!! !” p 114. 22. Schoenberg, Robert. Mr. Capone. p 33. 24. Balsamo, William. “Dillinger’s Brain!! !” p 114. 27. Bergreen, Laurence. Capone: the man and the era. p 49. 28. Balsamo, William. Young Al Capone. p 118. 29. There are actually two sources cited here. The “cut up bruiser” comes from Schoenberg, the “Yale crew” bit is from p 114 of the Balsamo interview. 30. Schoenberg, Robert. Mr. Capone. p 33. 31. Balsamo, William. Young Al Capone. p 118. 32. Balsamo, William. “Dillinger’s Brain!! !” p 114. 38. Schoenberg, Robert. Mr. Capone. p 34. 39. Bergreen, Laurence. Capone: the man and the era. p 30. 40. Iorizzo, Luciano J. Al Capone a biography. p 27. 41. Balsamo, William. “Dillinger’s Brain!! !” p 114. This entry was posted in 1920s criminals, Al Capone and tagged Al Capone, Al Capone scars, Frank Galluccio, how Al Capone got his scars. Bookmark the permalink. Really enjoy the article. I knew the story, but only in its essential points. I too think Capone never seeked revenge because he understood he was in the wrong with Lena. He was fierce and violent, but he did value family. 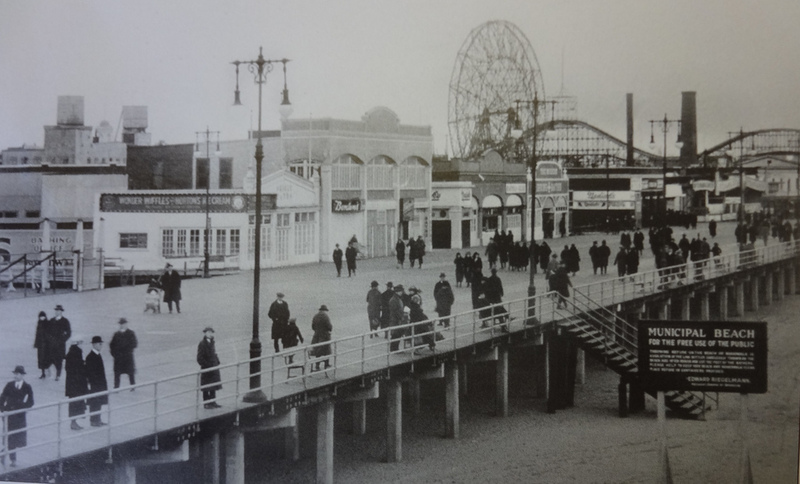 The Boardwalk didn’t exist in 1917. It opened in 1923. The Harvard Inn would have been located on the Bowery between modern day W.15th st and Schweikerts Walk. If you stand behind Nathan’s Famous and walk 50 feet to the west you will be standing where the Harvard Inn was located. The Harvard Inn burned down in January of 1925. Everything Al Capone brought with him to Chicago he learned on Coney Island’s famed Bowery. 1923 huh? Interesting. I’m sorry to say I didn’t double-check when the Boardwalk was created. Every source I read for this story claimed that The Harvard Inn was on or near the Boardwalk, so I assumed it was there at the time of Al’s knifing. Thanks for the correction. Are you with a Coney Island tour company? Perhaps I could cite your website. I’d agree with you about Capone—it was quite the education! I am the founder of Coney Island Tours. This story is part of my tour. I’m the editor of TheConeyIslandBlog.com. You can cite Michael Quinn of Coney Island Tours. Thanks. SO interesting! I never knew any of this! I really enjoyed your first-rate article.